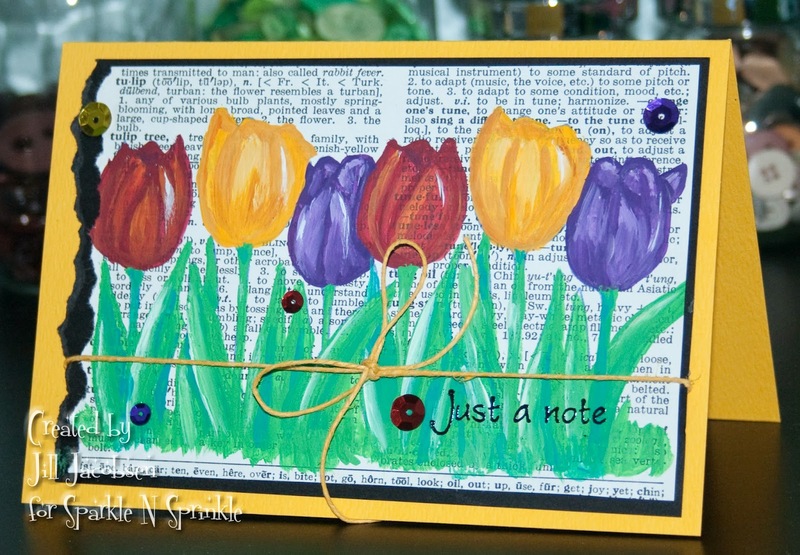 Hi Stampers, Over on Splitcoast last week the Mix-a-bility Challenge was Tulips. 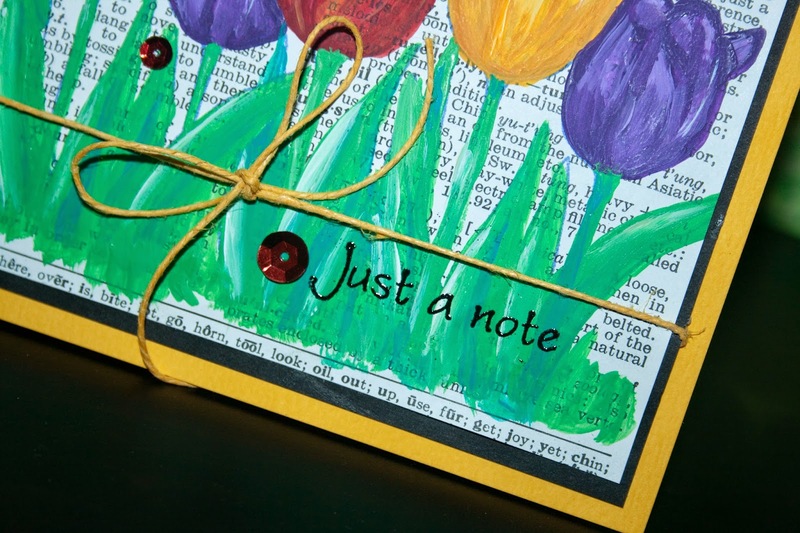 So I've been wanting to try this idea I've seen a lot of others use in their journals of stamping the image, then painting over it...when you are done you don't see the stamp it just looks like it was painted. 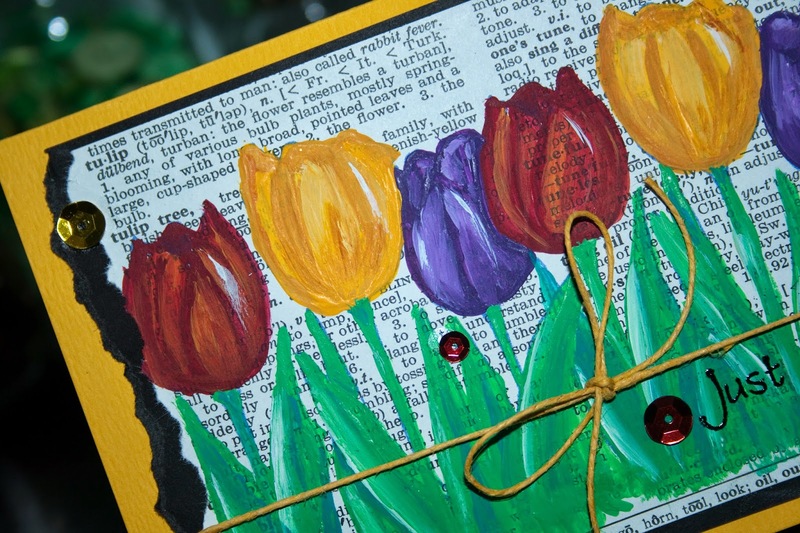 So I decided to take the Tulips stamp set from SNS and my acrylics and paint. 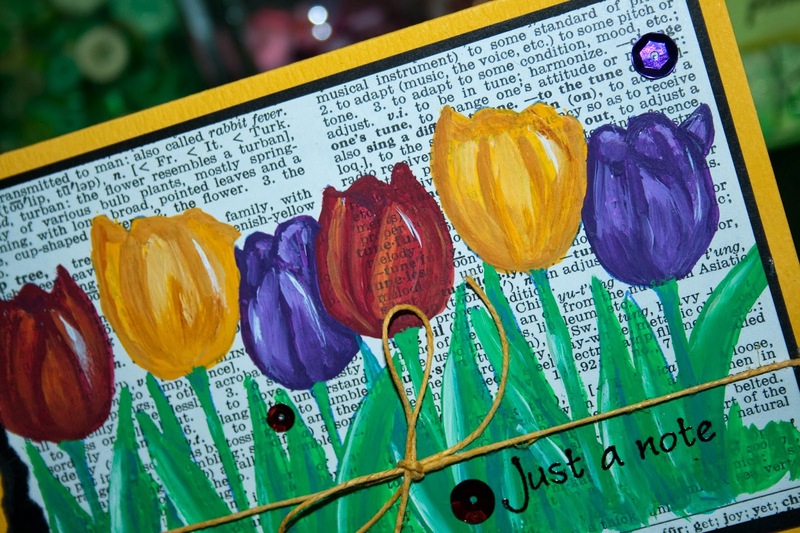 I tore out the page in my old dictionary for tulip and stamped right below that twice. I am really happy with the way it came out...you can't see the stamped lines and you can still see the word print in the background in places. The sentiment was embossed with Black Detail and of course my new favorite.....sequins....were added!! This was a fun technique and I am looking forward to doing more of it...hope you can give it a try also!